82 year-old Audrey Olds is a resident at Care UK’s Highmarket House on North Bar Place and has been a passionate painter since her school days, holding successful exhibitions across Warwickshire and securing many commissions over the years. The exhibition was held over tea and cake in the care home’s attractive and comfortable lounge and café area. 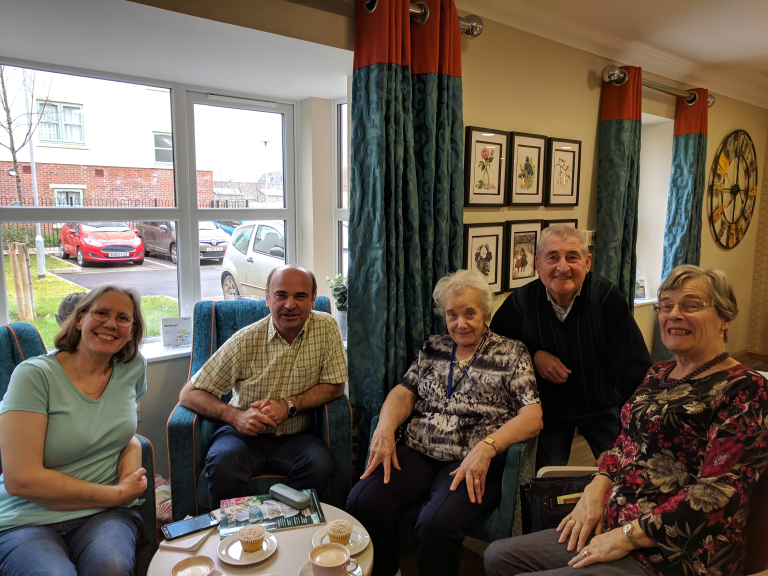 Home manager at Highmarket House, Francine Summers, said: “Residents are at the heart of everything we do here at Highmarket House and we love to go the extra mile to celebrate their passions and lives. We worked closely with Audrey’s family to host this exhibition and all had a lovely weekend admiring her work, which spanned landscapes, portraits flowers and animals.